If there was an app that analyzes the type of dishes I eat the most, Japanese would be on the top of that list, if not number one. (My Yelp check-in’s probably are a tell-all.) I love everything from the ramen, katsu, yakitori to the sushi — and yes, I have a matcha green tea obsession. Yum! Last week, I was invited to try the newly opened Sushi Dojo down in the East Village, and I took the boyfriend with me. 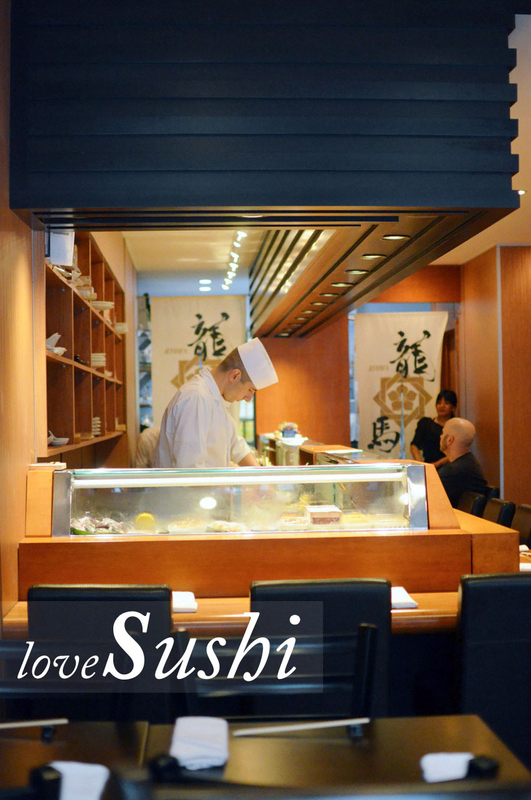 The bar was helmed by Chef David Bouhadana, who spent quite some years training in Japan. 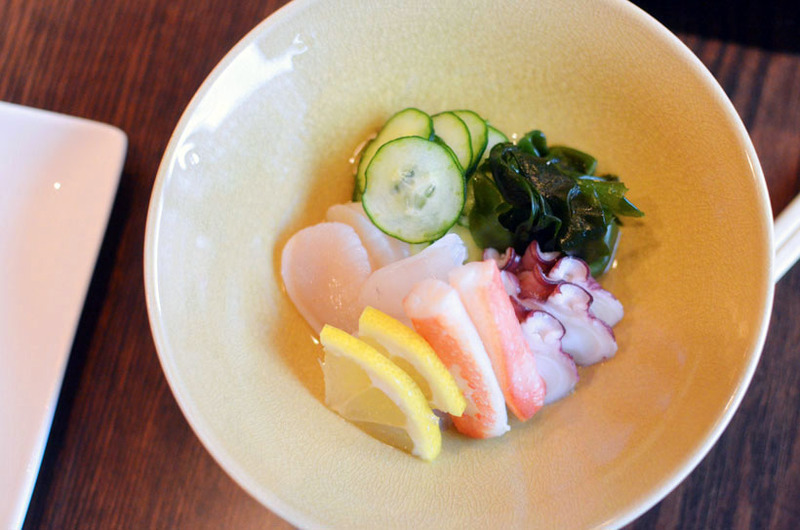 We tried a couple appetizers — a mix of sushi and traditional cooked dishes. The experience was simple and pure, and the fish was beyond fresh. If you are a serious sushi enthusiast, I highly recommend going for the omakase courses (chef’s choice, be surprised!). Oh, and there’s a pretty extensive sake list, which is always a good thing. …and this dish we did not eat, but the chef brought it out for show and tell at the bar.